It’s Time For…FIND OF THE WEEK! 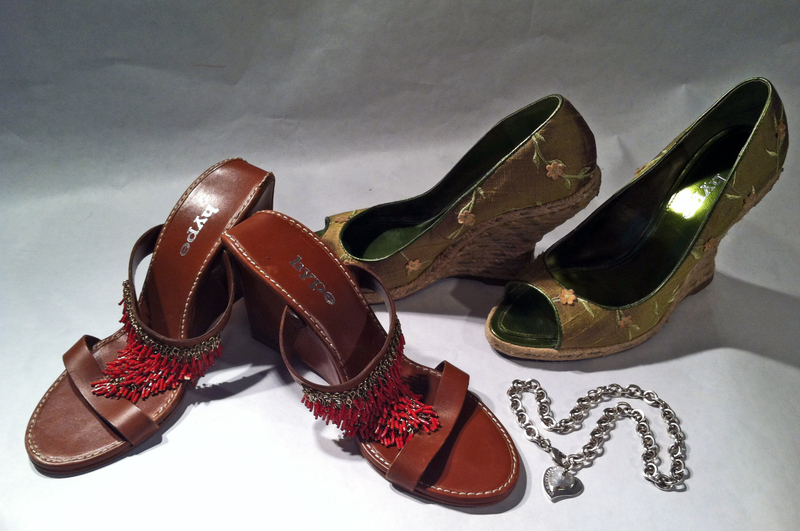 And…2 adorable pairs of near new Hype wedges, $11.99 for the leather with red bits ones and $6.40 for the green ones. So go thrifting and find your treasures! What did YOU find out there this week? Please share your finds in the comments section. http://www.ebay.com/gds/how-to-spot-fake-tiffany-jewelry/10000000001241859/g.html Thankfully I bought it at Goodwill so I can return it. Lesson learned! Now I know how to tell fake Tiffany jewelry. This entry was posted in fashion, lifestyle, Thrift store shopping and tagged bargain hunting, best for less, budget, Denver, designer, designer clothes, designer labels, Ebay, elle, fake tiffany, fashion, fine living, Goodwill, haut couture, Hype, lifestyle, living the high life, living your best life, luxury, personal style, reproduction, saving, shopping, style, thrift store, thrift store shopping, thrifting, tiffany, Tiffany & Co, tiffany and co, vogue. Bookmark the permalink.